If your family is anything like mine, you won't even stop at one flavor of stuffing. We always have one type cooked inside the bird and one cooked separately outside. 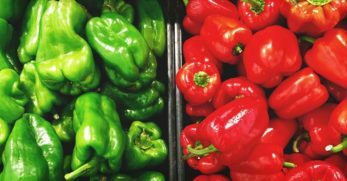 Not only does this mean that the vegetarians in the family can eat some too, it also allows for us to try out not one, but two delicious new stuffing flavors. 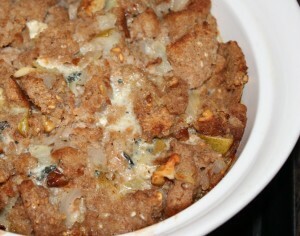 The classic stuffing recipe is, of course, delicious, but it is also exciting to experiment and try out something new. 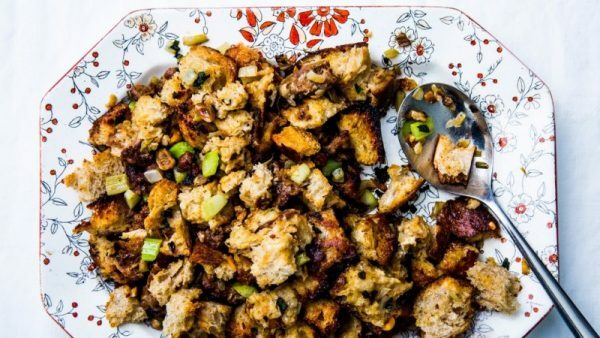 It's a classic for a reason and, if you don't already have your own, this classic sausage stuffing recipe could just be your new go to. 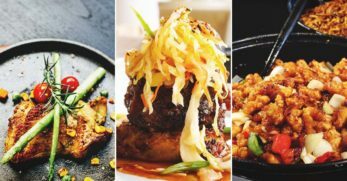 The ingredients in this recipe are so well matched, they would create such a warming flavor, and one that is not too overpowering. I must admit that I have never heard of using rice as a base for stuffing before, but now that I have I am definitely curious to give it a go. I was so surprised by how short the method for making this apricot wild rice stuffing was, especially after practically drooling over the photograph of it. I love the idea of something a little bit sweet amongst all the rich and savory flavors. The rest of the recipe and the herbs used are pretty traditional, so the apricot really would act as a welcome sweet surprise. 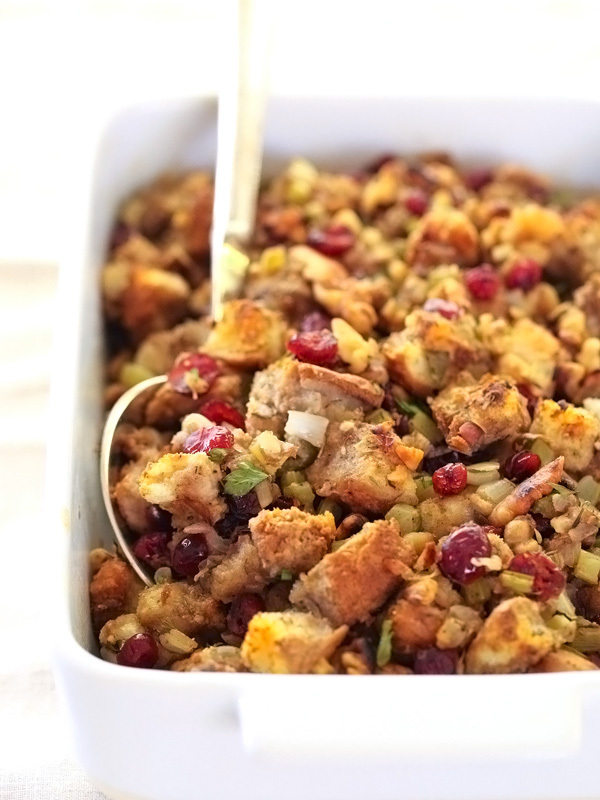 Cranberry and walnut is a flavor combination that just sounds festive to me, so this stuffing recipe would really get you in the spirit. 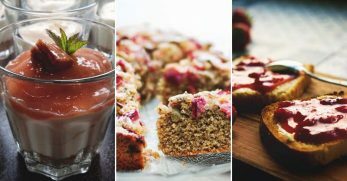 There aren't too many other strong ingredients in this recipe, so you will really be able to taste the cranberries and walnuts coming through. The mix of textures, from the soft gooey cranberries to the crunchy nuts and bread would make it an interesting mouthful. 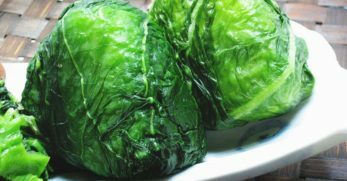 There is even a suggestion on how to adapt the recipe if you want to cook it inside the bird as opposed to outside as it is here, which is traditionally called dressing as opposed to stuffing. Now this recipe really made me sit up straight when I came across it. Whoever thought to make a chorizo cornbread stuffing? Well whoever it was, I am a fan. 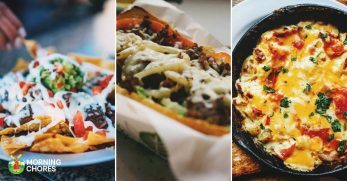 I absolutely love the flavor that chorizo adds to anything it is used with, a smokey, almost sweet taste. All my family loves it, so I know for a fact that this would go down exceedingly well. To be honest, there aren't many things that are covered in cheese that I wouldn't thoroughly enjoy, and this cheesy sausage and sage stuffing is no exception. 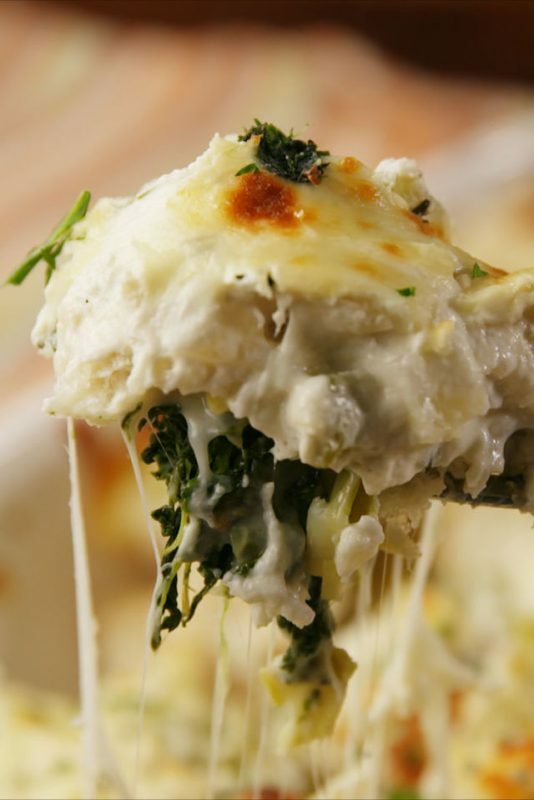 You could probably use this as a form of cheesy inspiration, and try adding a layer of melted goodness on top of your own stuffing recipe if the flavors will allow it. 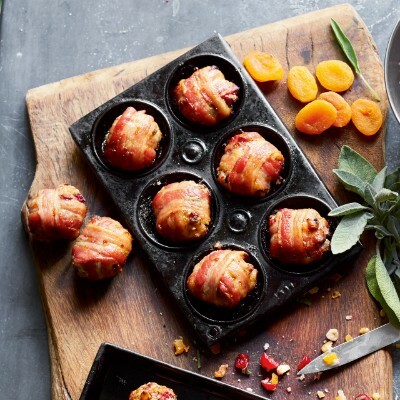 I absolutely love the sound of this hazelnut, pancetta and orange recipe. I don't know where I have been going wrong in previous years, but I have never used a recipe anywhere near as simple as this either. Pancetta is the perfect salty addition to balance out the hint of citrus from the orange, and the nuttiness, so I think these really are the perfect trio of ingredients. 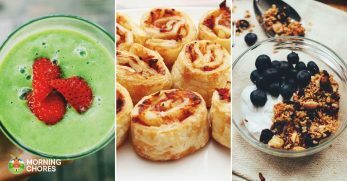 When cooking for the masses, it is always good to have a few allergy-friendly recipes and tricks up your sleeve. 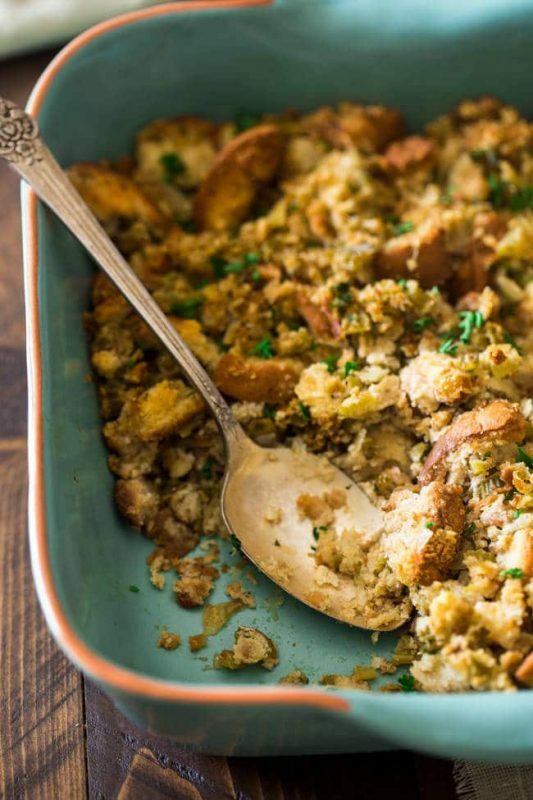 This gluten free stuffing recipe looks like the perfect substitute for the traditional, your gluten-free friends will be incredibly thankful for it and your gluten-eating friends will be none the wiser. 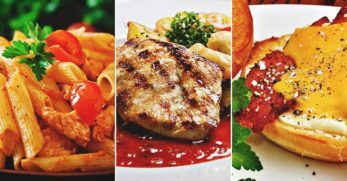 The herbs and ingredients remain the same, and whether you have this as the main stuffing or as an extra option, the method is no more difficult than any other stuffing you might be making. 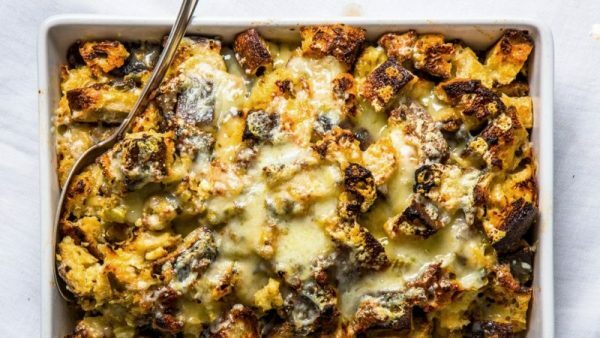 This spinach and artichoke stuffing recipe looks so different to any stuffing I have ever tasted or made before, and I am more than intrigued. 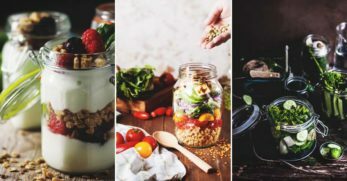 There are some traditional herbs in there, so I can imagine you would get some of those well-known flavors coming through, but there is also a whole new thing going on. This texture looks so different, much wetter than the traditional, and I am definitely not going to knock that idea until I try it. 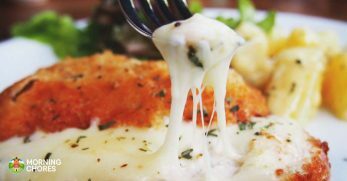 The addition of the mozzarella and cream cheese is so interesting to me, and I think my curiosity might lead to me making this at some point over the festive season. The use of ciabatta instead of sourdough in this ciabatta and sausage stuffing recipe makes it something a little different but doesn't stray too far from the original if you like your traditions. 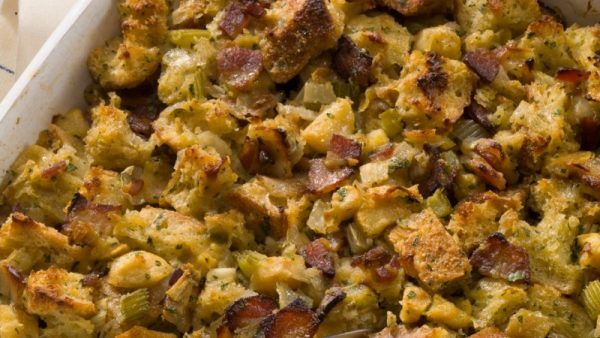 Other than the bread, the rest of this stuffing recipe is the classic, so it is a way to do something a little different if you aren't totally cooking savvy. 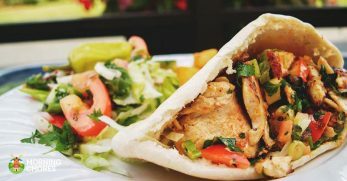 The recipe is simple and easy to follow, and you could buy already herby ciabatta to give your dish even more flavor. What can I say, I saw something wrapped in bacon and was immediately drawn to it. 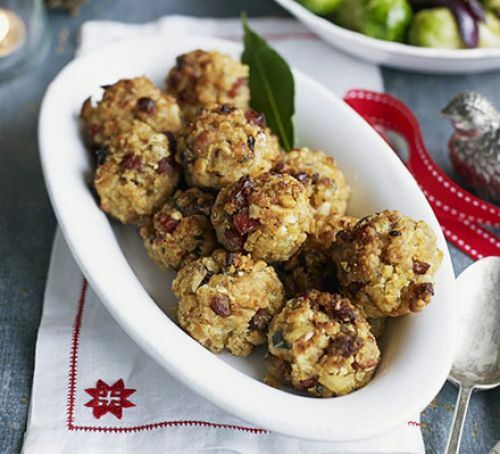 As the recipe states, these little pork, sage and cranberry stuffing balls can be made ahead of time and frozen, and what more could you wish for when you're feeding the five thousand. 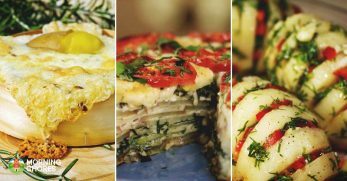 There are so few ingredients in this recipe, but I still think they look absolutely delicious, and it means that all the flavors will come through loud and clear. Like me, many people will be drawn to the bacon, and pleasantly surprised by the little bundle of joy they receive within it. 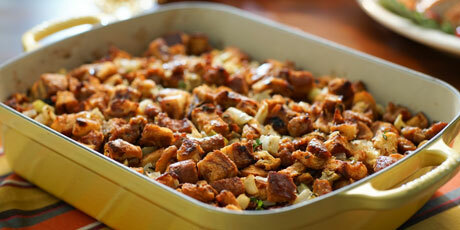 This simple bread stuffing recipe is bound to receive no complaints. 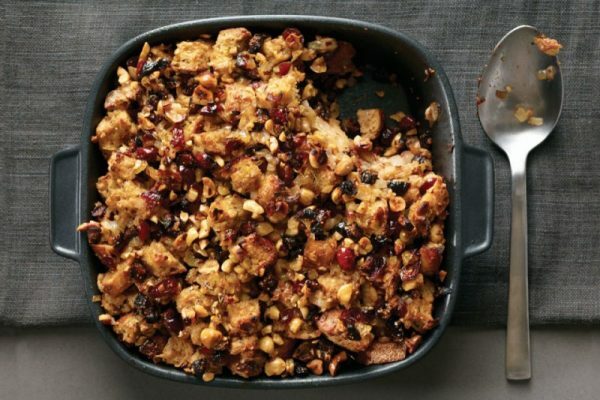 I love the fact that this recipe also suggests multiple variations on the base bread stuffing recipe so that you can stick to the traditional if you want to, but you can just as easily turn it into an apple or oyster stuffing. 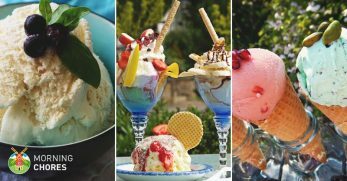 Of course, you could even create your own ideas and flavor combinations, using this recipe as a starting point and building on it. 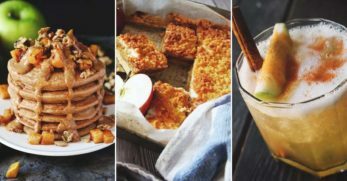 What better way to warm your tummy this chilly winter season than to splash a bit of whiskey into your cooking? 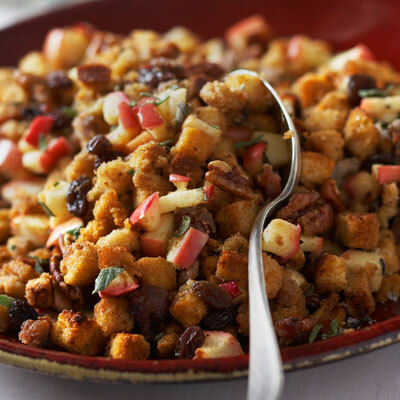 This whiskey, apple and sausage stuffing sounds like it combines a whole lot of hearty flavors and gives you a stuffing your guests will be talking about until next year. 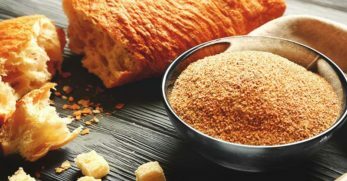 The recipe is very different to a traditional one, with mostly sweet spices as opposed to herbs, like cinnamon and nutmeg. I can already imagine the glorious smell of this filling the house while it's cooking, no need for scented candles this year. 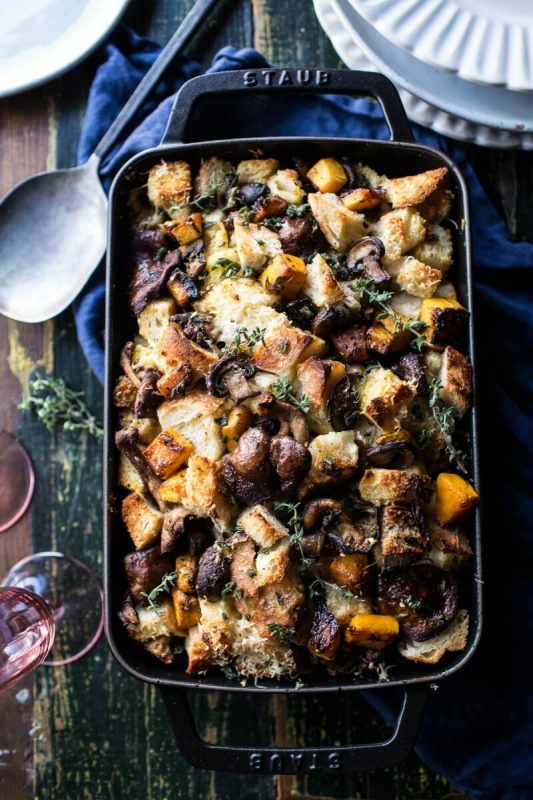 Now this butternut squash and wild mushroom stuffing recipe is so different from any others I have seen, in ingredients, texture, and appearance. 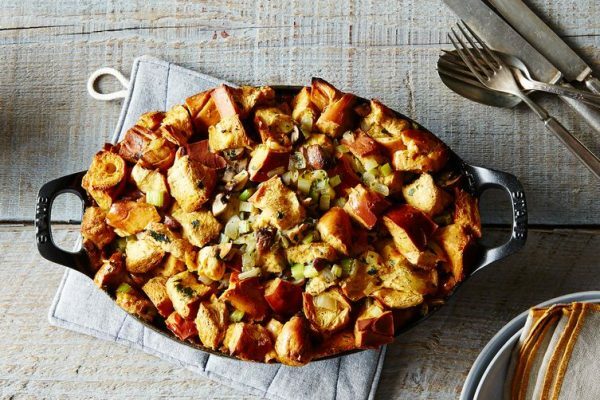 The writer of this recipe makes a good point in saying that some stuffing recipes are teetering on the edge of being a bit like a bowl of soggy bread, and she has definitely figured out how to combat that with this creation. 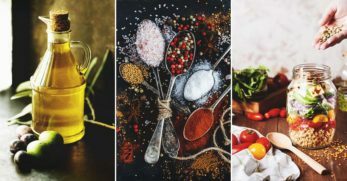 A lot of the classic herbs are still in there, but if you want to try something otherwise new and absolutely delicious then I reckon this would be a great place to start. 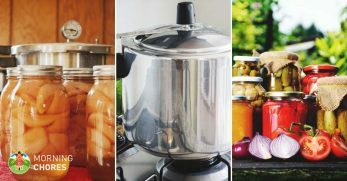 Anything made in a slow cooker is a winner around this time of year because once you've done the prep you can simply leave it and let the cooker do the rest. 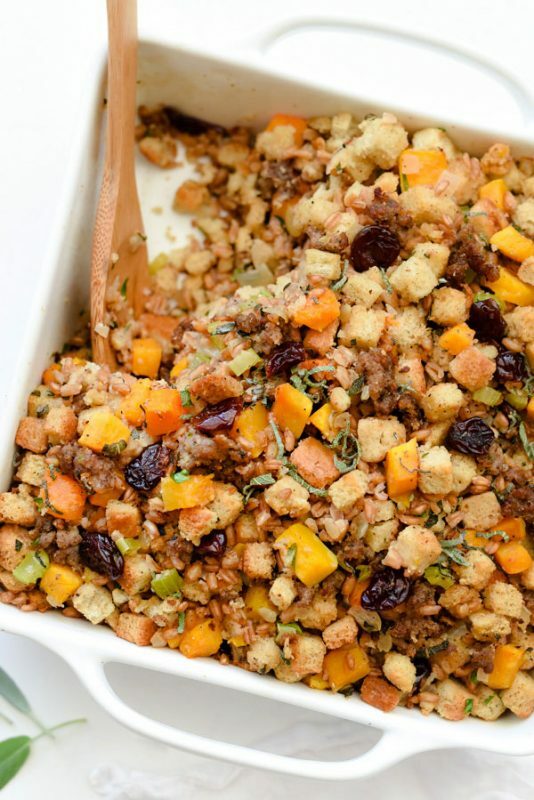 Although it is more the process that I want to highlight with this recipe, the stuffing itself looks delicious, with a nice mix of vegetables and flavors. 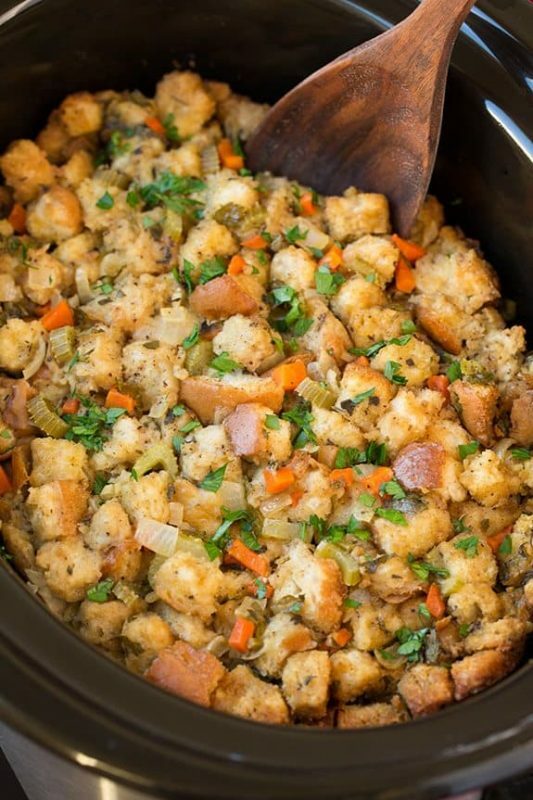 You could have a look at this slow cooker stuffing recipe and use it to make your own favorite stuffing recipe suitable for cooking in the same way, just as a little extra helping hand in reducing your oven's workload. Quinoa is somewhat of an ‘it' thing at the moment, I seem to see it everywhere. Although I don't have too much experience with it, I can imagine that the texture would be relatively similar to that of a regular stuffing. 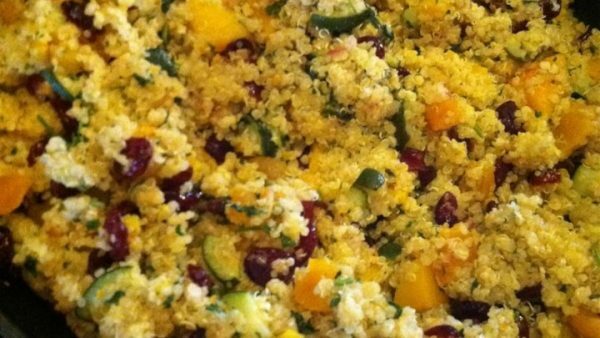 This quinoa stuffing sounds like it would be incredibly fresh which, come to think of it, would be a really lovely addition to a heavy feast. 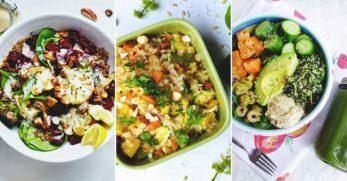 I had never heard of farro before finding this recipe, but it sounds yummy, and I am never afraid of trying new things when cooking. My family can be my guinea pigs. All the ingredients in this farro, butternut squash, sausage and dried cherry stuffing look fresh and delicious, and I am really interested in the addition of the cherries. 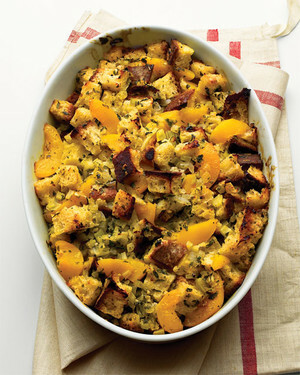 Many stuffing recipes that I have come across seem to include dried fruit as a bit of extra sweetness. I myself have never tried using any with my own stuffing before, but I am starting to think that I am definitely going to need to jump on the bandwagon with this one. I think that bread is one of the most noticeable things you can switch up in a stuffing recipe, simply because it is such a large part of what makes it. 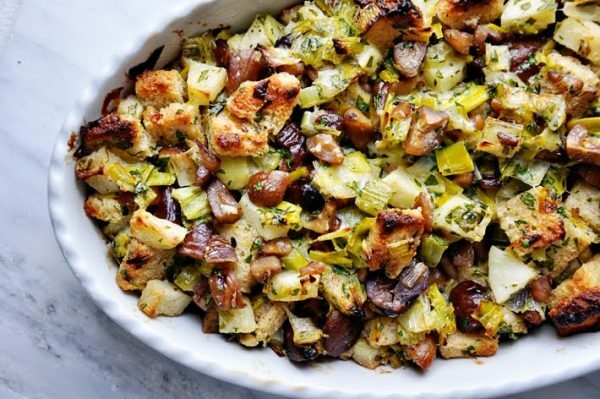 Challah is a slightly sweeter bread, and you could also use brioche for this challah, mushroom and celery stuffing recipe. It is totally vegetarian and I can tell that my sister would love it just by looking at it, mushrooms are one of her favorite things to eat. 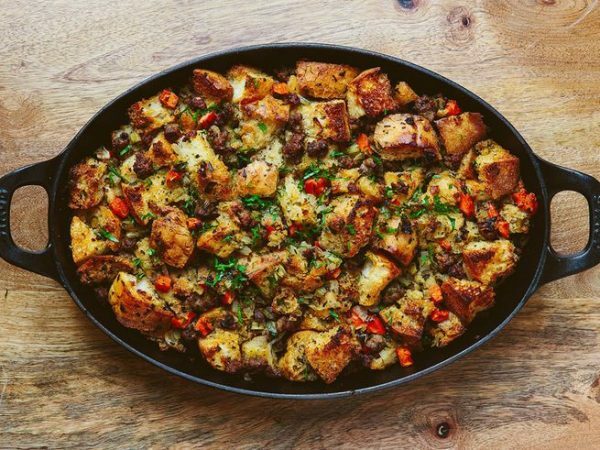 I like that in this photo, the way the stuffing is presented makes it look like a dish of bread so that your guests will only realize what lies beneath once they dive right in. I know what you're thinking, I didn't believe it when I first read it either. I wonder who the first person was to suggest experimenting with beer and cheese in a festive stuffing recipe. It looks like it worked and I must admit that, regardless of how strange it sounds on first reading, it sounds pretty delicious. 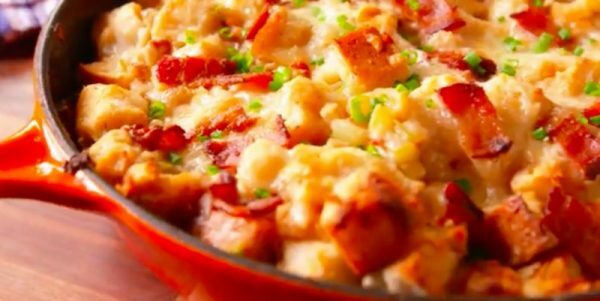 The recipe for this beer and cheese stuffing comes along with a handy little video on how to make it, and it actually looks really simple. The addition of the bacon is something which sells it even more to me, and I think this is something I am definitely going to have to try, otherwise, I will never know if it fits in with my turkey and trimmings. Cinnamon raisin bread makes me think more of breakfast than of dinner, but now that I think about it, the flavors are all very festive, so why not. I think that the combination of sweet and savory, spicy and herby would be a real treat in this recipe for cinnamon raisin bread stuffing with sausage. There are no fancy ingredients involved, just flavorsome ones, and I can imagine this being a nice twist, but also one that is not so scarily far from the normal that people won't know what to think of it. This bacon, apple, and fennel stuffing both looks and sounds like the ultimate winter warmer. 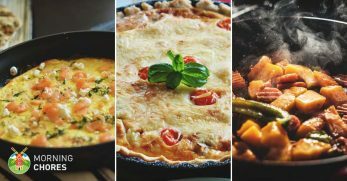 Even though the recipe looks a bit longer than some others, it looks very well explained, and I fully believe that it would be worth following it through. I love that it looks like it is all mixed well together, as opposed to some stuffing recipes which can sometimes look like different separate layered ingredients. Because cornbread often has more flavor than regular bread, this recipe has fewer herbs and spices in it, which is perfect for a table where everyone might have very different tastes. 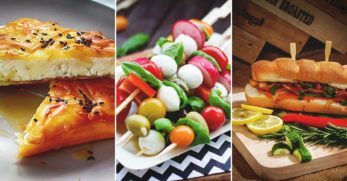 There are few ingredients as a matter of fact, which means that it would be great alongside any other side dishes or meats that you choose to serve. 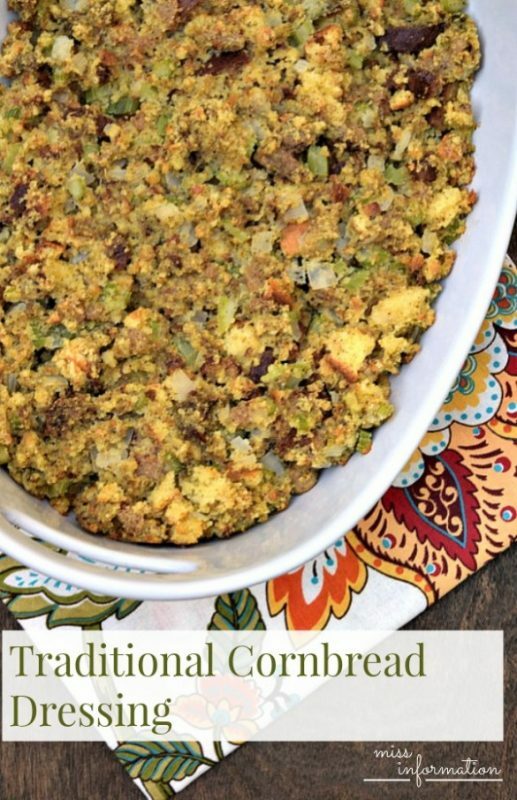 The flavors aren't too festive either, so you don't have to feel obliged to restrict yourself to only making this southern cornbread stuffing around holidays. 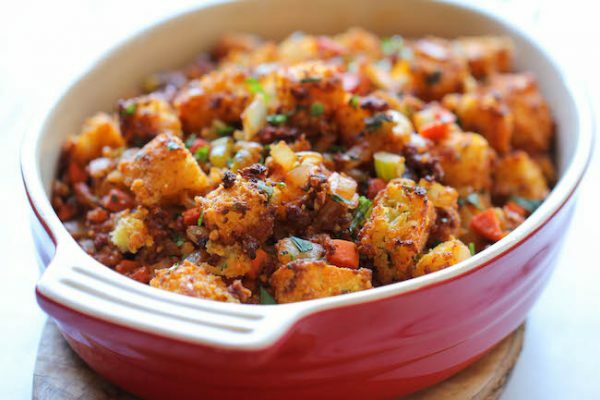 This french bread stuffing with oysters, bacon, and chipotle looks so unique and I am extremely eager to try it. Having lived in France, the French bread aspect is calling out to me. I would never have thought to use either oysters or a chipotle flavor in a stuffing recipe, so the fact that this combines both is a whole new world for me. 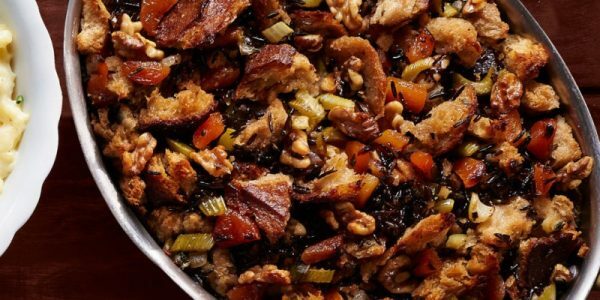 You can be pretty certain that any guests you are entertaining this year will never have tried stuffing quite like this before, which is often a very good thing, as you will have them raving about your insane new stuffing creation and begging for the recipe to use themselves next year. 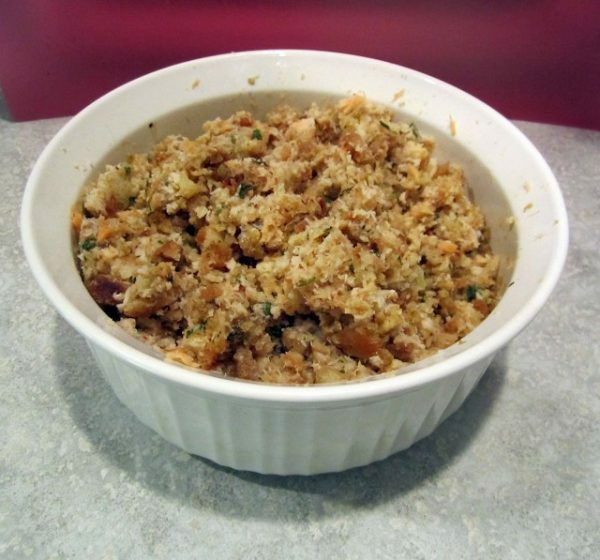 This seafood stuffing recipe is slightly cheating with the use of instant stuffing mix, but it is more the addition of the seafood that we are looking at, as you could easily use your own base stuffing recipe as opposed to an instant one. Not that there is anything wrong with using an instant mix, everyone cuts corners at some point. I am the biggest seafood fan, so this sounds delicious to me, I can't quite decide how it would taste alongside meat, however. I think I am going to have to make it, have a taste and then play around with different accompaniments. Although it would have been in autumn, I remember walking home from school with my little sister and seeing who could find the biggest chestnuts, so they always evoke fond memories of the colder months for me. Despite this story, I don't think I have ever eaten chestnuts. I have very often walked past them being roasted at stalls at markets and meant to try some, but I have never gotten around to it. 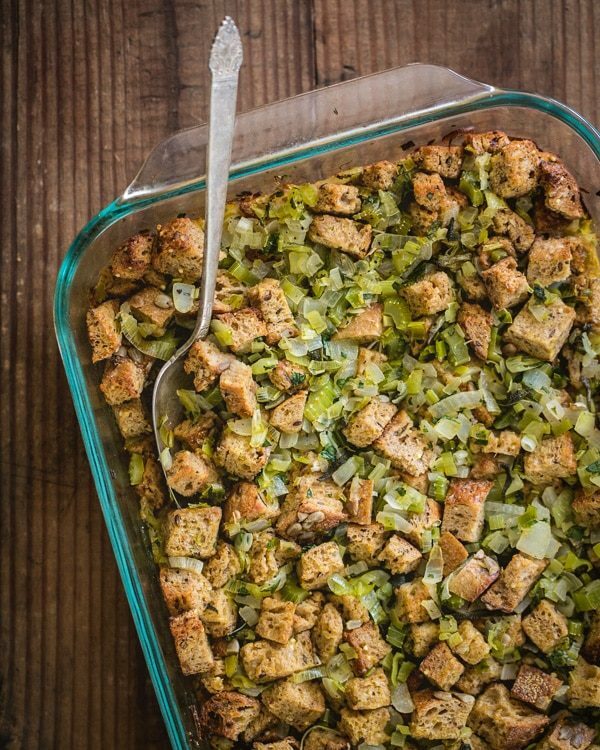 This chestnut stuffing with apple and leeks could be my perfect opportunity to try them out, as it looks absolutely delicious. 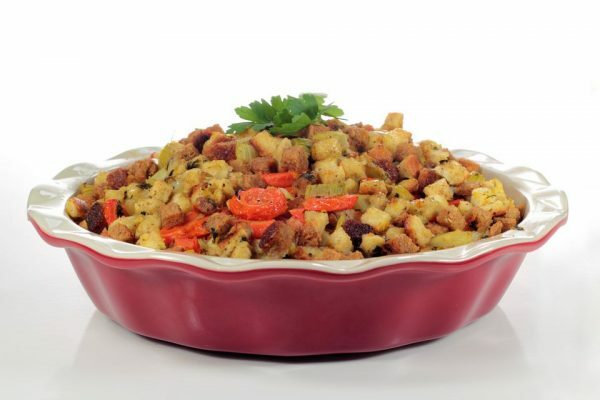 If you are looking for a lighter, healthier version of a classic stuffing, then this wholegrain one could be perfect for you. 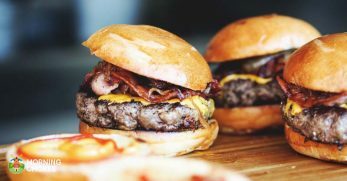 Although I am a firm believer that holidays are a perfectly acceptable time to stop calorie counting, you need some extra blubber in the colder months anyway right, I understand that most people have more self-control than I do. This stuffing still looks extremely yummy despite being health conscious, something which isn't always easy to find, and you wouldn't have to feel as guilty going back for seconds. When I was younger I never used to be able to handle eating things which contained a mix of sweet and savory ingredients, so this peach stuffing wouldn't previously have been my first pick, but now I think it looks great. 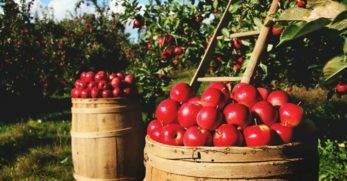 There aren't many herbs in this recipe, which I am glad of as I can't imagine that they would mix too well with the peach flavor, and it means that the peach can be the main focus of the dish. I love the fact that this is a shared family recipe, there is something about that which just makes it even more special for this time of year. I really like the idea of the sweet, nutty flavor of this rosemary stuffing with figs and hazelnuts. It makes me think of a wintery woodland, which is not a bad thing to be thinking of while whipping up a batch of stuffing. I think there is a good mix here of the base ingredients plus the added dried fruit, which I think would add a very pleasant little surprise to any mouthful of festive goodness. Now, this sounds like the most sophisticated of stuffings. It might not go down too well with the little ones, but I certainly don't know any friends or older family who wouldn't love it. Pear, toasted walnut, and blue cheese is a classic flavor combination for tarts and things like that, which is what makes it exciting. I can imagine this being the kind of dish that completely converts you to make it every year after trying it once, and if that isn't the sign of a winner then I'm not sure what is. 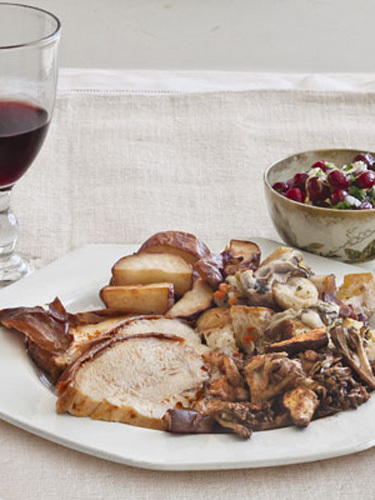 The great thing with stuffing is that you can add little bits here and there, and even try combining your favorite parts from different recipes. It doesn't have to be anywhere near perfect. The beer and cheese stuffing recipe has really intrigued me, I am not sure how it would taste but I am willing to give it a go. 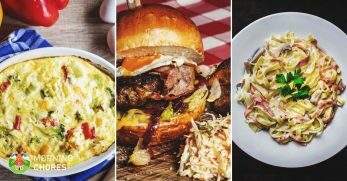 I am also really being drawn to the bacon, apple, and fennel, and don't think I can forget about that chorizo cornbread one without trying it out. 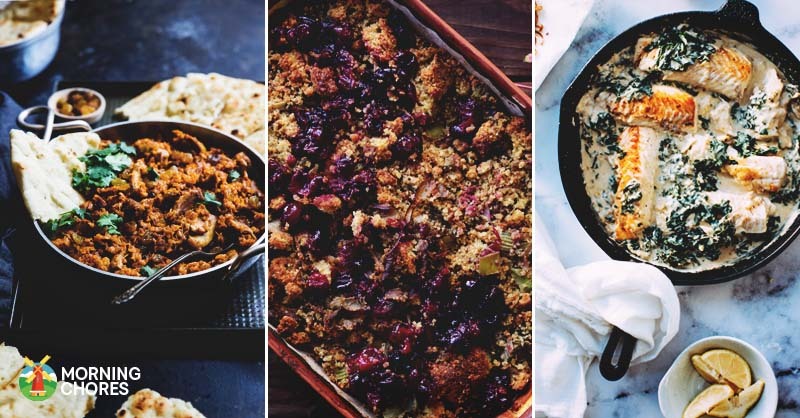 Do you always stick to a traditional stuffing recipe, or has one of these recipes changed your mind? Are you an outside or inside the bird stuffing cooker?